Looking for deals in Miami? Offering an outdoor pool and fitness center, SpringHill Suites by Marriott Miami Doral is located in Miami, Florida, 1.7 mi from Dolphin Mall. A hot breakfast buffet is available for free. The room was modern and clean. The bed was amazing! I had the best night rest on that bed, just amazing! The house keeping did a spectacular job upkeeping the hotel! This Florida boutique hotel has a spacious outdoor swimming pool. The property is 2.5 miles from the Miami International Airport and 4 miles from the waterfalls and grottoes of the Venetian Pool. This hotel is amaizing . I enjoyed staying there . Located in downtown Miami, this Hampton Inn is a 1 minute walk from the free Brickell Metromover Station. It features an outdoor pool and free WiFi. A daily hot breakfast is served every morning. Bed was indeed like a cloud! Friendliness of staff was great and included breakfast was very good. Location right by Brickell Station made it very easy to travel from airport and there were lots of variety of restaurants very close by. The restaurants we tried were great. Located in Miami and within 2.8 mi from Miami International Airport, Candlewood Suites Miami Intl Airport - 36th St features an outdoor swimming pool, airport transfer services, and free WiFi... Excelent Elizabeth art the front desk Great human group and very good place. Located in Miami, 1.7 miles from Bayside Market Place, Hyatt Centric Brickell Miami offers amenities including a fitness center and a terrace. Perfect location, beautiful view, rooftoop pool, clean and comfortable rooms. Everything was just perfect! Featuring free WiFi, a fitness center, and free parking, Wingate by Wyndham Miami Airport offers accommodations in Miami. The property houses 2 on-site bars and an on-site rental car office. The property was brand new and had chic/modern decor. Located in a historic building, Eurostars Langford offers modern amenities. A mini-bar and a 48-inch flat-screen TV are provided in each room. Location is great and close to the Miami Airlines Arena. Located 11 minutes' drive from The Shops of Midtown Miami, Hyatt Place Miami Airport East offers accommodations in Miami. The hotel has an outdoor pool and terrace. Close to airport and very clean. This Miami, Florida Best Western offers an indoor pool, free WiFi, and a complimentary full hot breakfast. My sister and I stayed one night after our cruise. Featuring free Wi-Fi and a hot breakfast buffet served daily, this hotel has free transportation services to both Miami International Airport and the Port of Miami. Breakfast was getting ready before 6am so that those taking shuttle could have something to eat. Located off Highway 826, this motel is about 10 minutesâ drive from Miami International Airport. It offers free Wi-Fi, guest laundry and vending machines. I liked the price of the room and it is in a good location close to the expressway. Located 6 miles from Miami International Airport, this Doral hotel has an outdoor pool and a daily breakfast buffet. A fitness center and sun terrace are on site. An airport shuttle is available. I liked the Family environment because I was traveling alone I felt safe. Leamington Hotel - Downtown / Port of Miami is set in the Downtown Miami district in Miami, 1 mi from Bicentennial Park. Features include free WiFi and a continental breakfast. Everything it was great from location etc. Located less than 6 miles of downtown Miami, this boutique hotel offers a daily continental breakfast. Free Wi-Fi is available. Location and comfortable amenities-good value. Parking is tight. The Life House Little Havana is located in the Little Havana district in Miami, Florida. Featuring free WiFi throughout the property, Life House Little Havana is a 3 minutes' walk from 8th Street. Really enjoyed staying here, a 10/10 and one-of-a-kind hotel. Set in Miami's Design District, Hampton Inn & Suites Miami Midtown, FL is located 4.3 mi drive from Miami's city center and 5 mi drive from the Miami Cruise Port. I loved everything. I’m extremely impressed!! Featuring an outdoor swimming pool and a fitness center, SLS LUX Brickell is located in Miami, 1.3 miles from Bayside Market Place. I liked the hotel location and the spacious size of the rooms and cleaness of the place. Featuring a rooftop pool, Atton Brickell Miami is located in the Brickell district in Miami, 1.2 mi from Vizcaya Museum and Gardens and 3.9 mi from American Airlines Arena. A modern environment, with nice rooms and a well served but informal restaurant. How much is a hotel in Miami for tonight? On average, it costs $213 per night to book a 3-star hotel in Miami for tonight. You'll pay around $284 if you choose to stay in a 4-star hotel tonight, while a 5-star hotel in Miami will cost around $597, on average (based on Booking.com prices). What are the best hotels in Miami near Port of Miami? Some of the best hotels in Miami near Port of Miami include Downtown Miami Deluxe Apartment, InterContinental Miami and Hotel Beaux Arts, Autograph Collection. Which hotels are the best ones to stay at in Miami? Hampton Inn & Suites by Hilton Miami Downtown/Brickell, EAST, Miami, and EB Hotel Miami Airport are some of the popular hotels in Miami. What are the best hotels in Miami near Miami International Airport? Travelers who stayed in Miami near Miami International Airport (MIA) have said good things about Miami International Airport Hotel, Holiday Inn Express & Suites Miami Airport East, and Ramada by Wyndham Miami Springs/Miami International Airport. 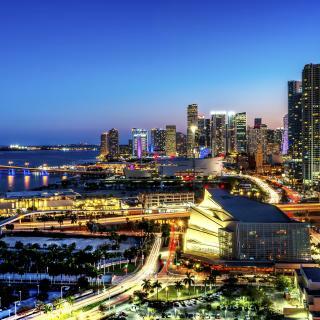 Which neighborhood is the best one to stay at in Miami? 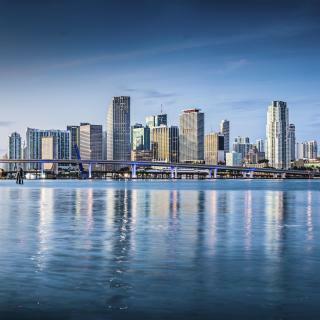 Key Biscayne, Downtown Miami, and Coconut Grove are popular with other travelers visiting Miami. Which hotels in Miami offer an especially good breakfast? For hotels in Miami that serve highly-rated breakfasts, try Hyatt Centric Brickell Miami, Hilton Garden Inn Miami Airport West, and SpringHill Suites by Marriott Miami Doral. Which hotels in Miami are good for families? Many families visiting Miami loved staying at EB Hotel Miami Airport, Hampton Inn & Suites by Hilton Miami Downtown/Brickell, and Four Seasons Hotel Miami. Which hotels in Miami are good for couples? These hotels in Miami are highly rated by couples: EVEN Hotel Miami - Airport, Guild Miami - Downtown, and EB Hotel Miami Airport. How much does it cost to stay in a hotel in Miami? On average, 3-star hotels in Miami cost $161 per night, and 4-star hotels in Miami are $227 per night. If you're looking for something really special, a 5-star hotel in Miami can be found for $434 per night, on average (based on Booking.com prices). Which hotels in Miami have nice views? Mandarin Oriental, Miami, Four Seasons Hotel Miami, and EAST, Miami got great room view-related reviews from travelers in Miami. How much is a hotel in Miami for this weekend? The average price per night for a 3-star hotel in Miami this weekend is $460 or, for a 4-star hotel, $661. Looking for something even fancier? 5-star hotels in Miami for this weekend cost around $1,087 per night, on average (based on Booking.com prices). 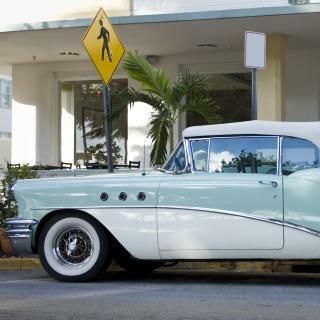 Miami invites you to shop on impressive Art Deco avenues, enjoy the spice and rhythms of its Latin American influences, and escape to one of the area's many nature reserves. We loved exploring the lively atmosphere of Bayside Marketplace. We took a boat tour of the bay and although we could hardly hear the tour guide, it was a beautiful ride. South Beach is a must and the beaches are beautiful! There is plenty to do here! There is plenty to do here! We went there mainly to catch a cruise ship to the Bahamas, but we spent several extra days exploring Miami. We set our base near the Bayside Market, which is a great location. The public transport in Miami is excellent, especially compared to other American cities. In particular, I like the free (yes, it is gratis!) 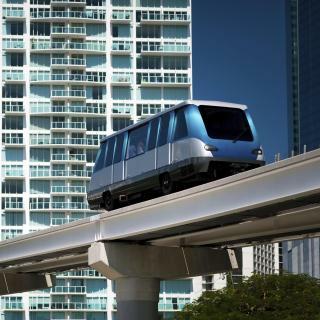 Metromover, which has 3 lines (loops) covering mainly downtown area and several other places (it's a fully automated system, i.e. no driver, which is cool). If you need to go elsewhere, there are many bus routes (at the time of writing, which is April 2019, the fare is $2.25 per ride per person, just prepare the exact amount, since the bus driver will not give any change back). The metro system has 2 lines, including one that goes to the airport (the orange line). Again, the fare is mostly $2.25 (at least the one to the airport from downtown area is). There is also a trolley bus (which is also free), but we didn't get a chance to try it. If you are travelling to the cruise terminal at Miami Port from the airport, there is a fix rate charge of $27 for the taxi (plus tips). That is per ride, i.e. not depending on the number of passengers. On the way back from the cruise, there are plenty of taxi at the cruise terminal to bring you back to wherever you need to go to. To go to the Miami beach from the downtown area, you can take a bus (e.g. number 120 or C or S). It normally takes around 40 minutes, unless there is a detour (in our case, it took over 1 hour!). The public transport is air conditioned, which is great for hot days (which seems to be all through the year)! I find Miami to be the New York city of the south. I find Miami to be the New York city of the south. Everyone has a hustle. Was generally not impressed with any of the restaurants. Most of the staff were very rude and didn't care about the customer, Gratuity was already included in the bill in most places so this always makes for poor service. Hospitality is hard to find here. The exception was the staff of Hard Rock Cafe Bay side. Great service all around. This is my second trip to Miami and I love staying in the Brickell area! Bayside, Downtown Brickell and Wynwood are great areas to be in. It is very easy and cheap to get around Miami. My daughter found free transportation all around the City. Plenty to do for the adults and the kids. Huge Miami, every time i go there i discover something new, restaurantes, beaches and neighbours. Last time we also went to Florida Keys, it was an amazing road trip, endless bridges with an awesome visual. It takes a couple hours by car but it worth in a sunny day. Overall our stay was fine. The location was close to south beach and downtown. The hotel itself had a nice/cool vibe. There was a cute little bar that had live music and a relax vibe. The rooms were fairly simple but decent for the price and amount of days we stayed. We had our necessities: iron, microwave, and fridge. Besides we are in MIAMI we didn’t stay in our room that much. There is limited and tight parking but you’ll always find one if not they will help you find one. 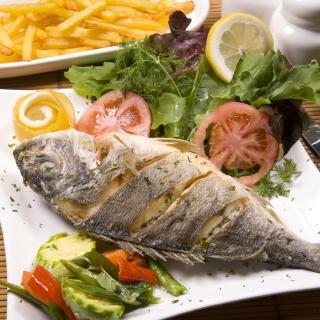 The hotel has a good location in proximity to big stores and interesting restaurants. 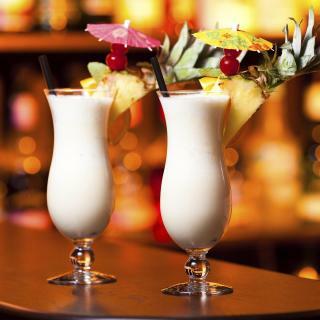 It’s in 20 min to Miami Beach and 5-7 min to Miami Airport (by taxi). Rooms are tidy and cozy, stuff is highly friendly and ready to help anytime. There is a clean swimming poor on the 1st floor. Pay attention: breakfasts are available only for several room categories. Perfect for families or big groups. Location was close to attractions like bayside, miami beach, and shopping. Staff were very accomodating especially Jose and Nico. Because Jose went above and beyond his duty just to make our stay enjoyable and hassle free, its like we have our own personal butler. Better than any hotel I've stayed in before. Flat is really nice and view from 19th floor is gorgeous at night but also during daylight. Wakeup is so easy when you can see the sun rise over Miami beach directly from your pillow! Very safe and easy to park. 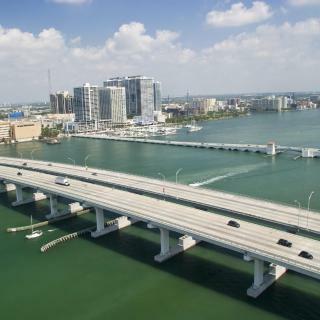 Close to Miami downtown and very quick to Miami beach. The property was really roomy with all facilities including a large balcony. The area was quiet in a good location with easy access to both Virginia Key and miami beach. Downtown was a just a few mins walk for clubs and restaurants. The hotel is a 2-3 minute walk from the South Miami metro station and so it was very easy getting to and from the airport! The room was very cozy and there was free breakfast. Definitely enjoyed my stay and will return. Location is great easy access to south beach, the hotel is located very close to one of the bridge. Very clean room and quite area. Highly recommended if you don’t mind mind to use UBER or metro to move. It is a very comfortable stay here, nice staff, great facility, spacious room, the location is a little far from south beach, but for the price, I will definitely recommend to my friends and family. 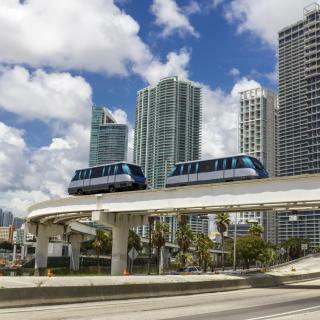 very close to the airport, and walkable to the bus terminal to get the 150 express bus to South Beach if you have a day or 2 to explore other parts of Miami. Really big and presentable apartment. Nice location in downtown and only few dollars by taxi to get to South Beach. The hotel is clean and comfortable for users the one night travel. Very close to International Miami Airport. This hotel is close to everything. Centrally located to the beach, airport, and downtown. Free shuttle to hotel. Close to grocery . Easy to get uber to South Beach . Close to downtown Miami and South Beach. Property was great, close to airport. Lobby Bar was great and the rooms were nice! Great Property , confortable , private, great rooms.